Featuring Lincoln Adler (saxophones), Greg Sankovich (keyboards), Kevin Lofton (bass), and Maurice Miles (drums), the band’s artful and intense musical conversation is steeped in the history of friendship and common roots. 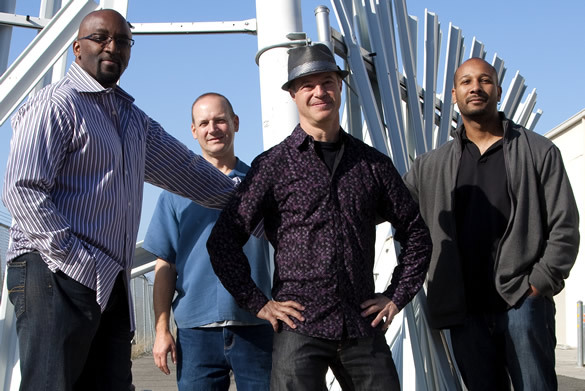 Miles and Lofton have been friends and musical collaborators since high school; likewise, Adler and Sankovich continue a musical dialogue also dating back to their teen years. Over 11 years of collaboration and friendship have culminated in Times 4’s unique brand of Urban Jazz. Their joyful musical interplay generates tight, driving grooves, captivating melodies and dynamic improvisations that inspire their audience members, from critical to carefree, to tap their feet and feel dance in their bones.